If you’ve laid turf or are able to install a new lawn in Kings Beach, Daleys Turf is here to help out with any questions you might have. Installing, establishing and maintaining a green and healthy lawn in Kings Beach can be a tricky affair. The proximity to the coast can ensure a geographical set of unique issues to deal with. Do you have a dry dead lawn? Dry patched on the lawn? Or just a brown lawn? The following tips can aid you in your lawn recovery. When the leaves of the lawn plants begin to yellow, brown or curl up the lawn is not receiving adequate water. Aim for 2.5cms of water across the entire lawn at any one time. Less frequent, but deeper watering will encourage a deeper and stronger root system. In a location like Kings Beach turf may benefit from a wetting agent, a product designed to hold moisture for longer. A dry or brown lawn may be a sign that your lawn is struggling to exist on the nutrients in the soil. Conduct a pH soil test. This kit, available from lawn care suppliers, nurseries and hardware stores, determines the acidity or alternatively the alkalinity of the soil and therefore what is missing. Take your results along to your local lawn care supplier and they will be able to advise you on what your lawn is deficient in and how to solve the problem. This may mean fertilising or top dressing. Dry, brown patches on the lawns may be an indication of a pest, insect infestation such as lawn grubs. We suggest laying a piece of wet material such as a hessian bag on a section of lawn overnight – this will cause any lawn grubs to come to the surface for identification. If pests are in attendance they must be treated immediately with an appropriate insecticide to halt their movement and numbers. 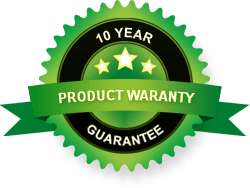 It’s important to use the correct product and one specifically suited to the pest and the variety of lawn in your backyard. If you have not yet installed turf we would suggest laying Sir Walter turf at for the best results at Kings Beach. This variety of turf is designed to handle conditions such as those experienced close to the coast and is drought and shade tolerant. For more lawn care advice, just visit Daleys Turf. 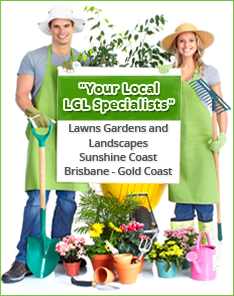 We offer a range of blogs and lawn care articles to help you out.